Board Member, Dr. Patricia L. Rogers is currently the Provost and Vice-President for Academic Affairs at Winona State University. Prior to serving at WSU, she was the Founding Dean of Health Sciences and Human Ecology and the School of Graduate Studies at Bemidji State University in Northern Minnesota. Previously, she was the Founding Dean of the School of Education and Graduate Studies at Valley City State University in North Dakota. She has been an educator in higher education for 21 years. 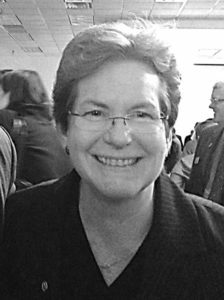 Other administrative experience includes her work as the System Director for Instructional Technology at the Minnesota State Office of the Chancellor, and ten years as the co-leader of the Health Studies unit in the Division of Environmental and Occupational Health, School of Public Health at the University of Minnesota. Dr. Rogers’ doctoral preparation includes a double-major in both Art Education and Instructional Systems and Technology from the University of Minnesota. She is a graduate of the HERS Academy (2011), completed American Council on Education 78th National Leadership Forum in Washington, DC, (2012) and successfully completed the American Association of State Colleges and Universities (AASCU). Becoming a Provost Academy in 2013. She is the recipient of the 2014 Minnesota American Council on Education Networks Women Helping Women Award. In 2016, she completed the Minnesota State Executive Leadership Program. Dr. Rogers is a Getty Fellow (1996 Dissertation Fellowship from the Getty Center for Arts in Education) and a Fulbright Scholar (2000-2001), designing distance-learning programs (Iceland University of Education: formerly Kennarahaskola Islands). She was awarded the first annual Minnesota Online Council’s Pioneer Award for leadership in online teaching and learning has served for six years as a Higher Learning Commission peer-evaluator. In 2017, she was selected as one of 32 Digital Fellows with the Association of Chief Academic Officers, a project funded in part by the Bill and Melinda Gates Foundation. Dr. Rogers currently serves on the Great River Shakespeare Festival Board and the Winona County Historical Society Board. I have known Barbara for well over twenty years and have seen first-hand her commitment to social justice, defense of the environment, honesty in her ethics as an artist and educator, and dedication to creating inclusive and truly welcoming communities among her students, her friends and family. Supporting a plurality of voices, finding true connections with people, and making safe spaces to enable challenging conversation is a passion of mine as an educator and academic leader. Working through visual and performing arts and sciences to both reflect and move the world is a powerful form of advocacy and activism that ensures change and creates spaces for these critical conversations.